You have read my flying dinosaurs section that explain anything about dinosaur with wings. Now let we take more focus to one of the greatest, biggest creature that ever fly, Pterodactyl. Pterodactyl was taken from Greek language which means “Winged Lizard”. It lived about 145 million years ago. The Pterodactyl have a huge wingspan, it’s about 40 feet! Can you imagine how big is it? They use their claws to ate fish, insects and smaller animals. Pterodactyl actually isn’t dinosaur, it is a kind of flying-reptile. They spread all over Germany, England, France and several African country. The next amazing facts is , there were different types and size of pterodactyls. 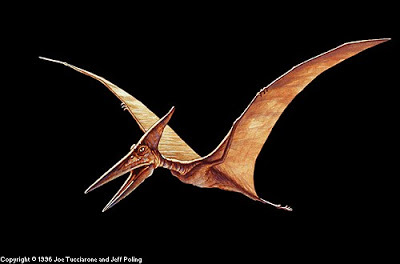 Pterodactyl in Germany had different size with one in Africe. Some were like a small crow, some were very big! 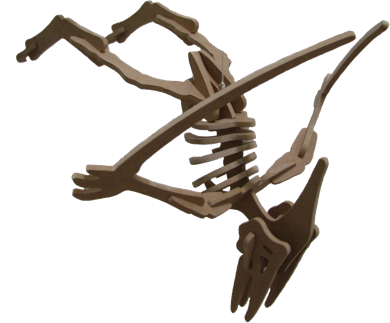 The fossil of Pterodactyl was firstly found in Bavaria, Germany in 1784. Then paleontologists also found some fossils in North America, Europe, Australia and Africa. The founder of Pterodactyl fossil named Cosmo Alessandro Collini. Now you know Pterodactyl facts sheet. 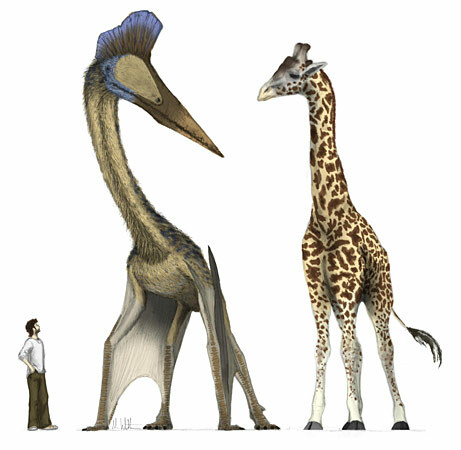 Imagine the size between Pterodactyl and Giraffe! Wow…you can imagine how big is this reptile.